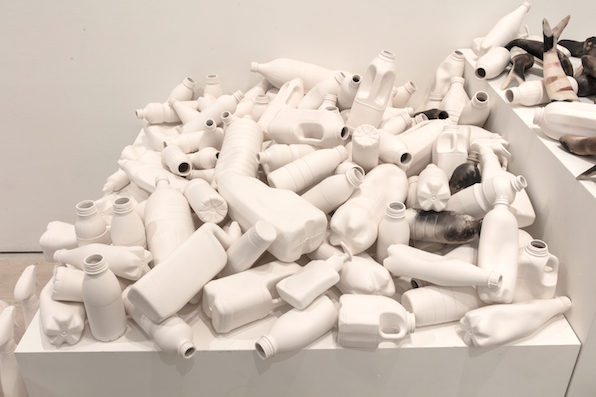 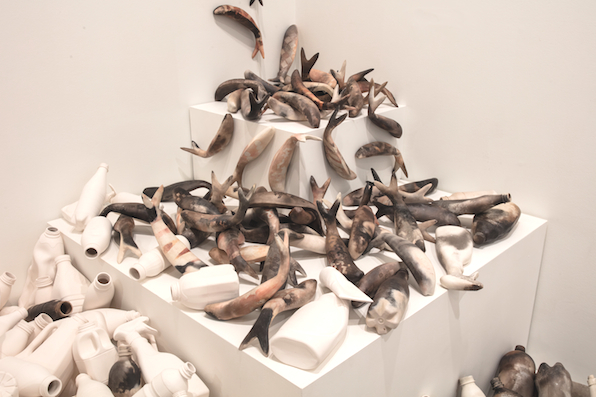 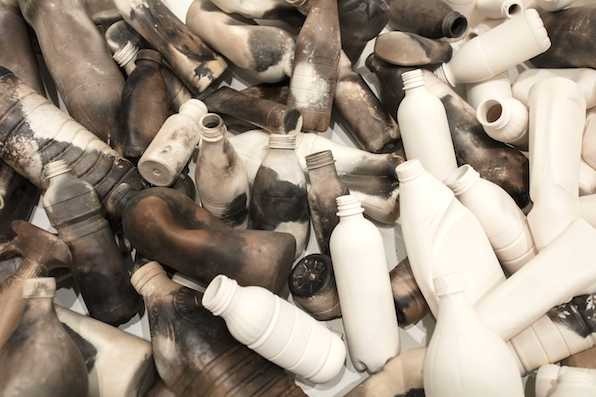 This work is an installation made entirely from clay (press-moulded, slip-cast and smoke-fired) that addresses the global issue of plastic pollution in the oceans. 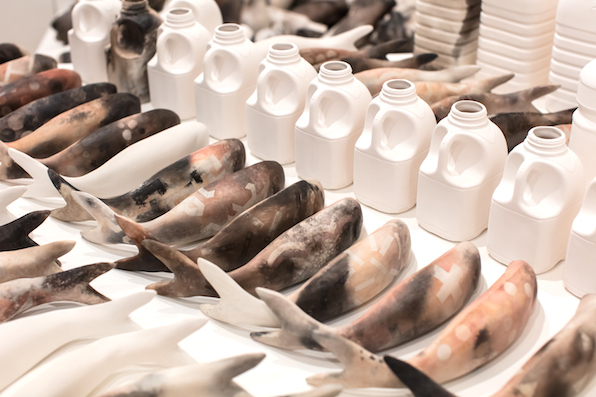 It is a response to the terrifying statistic that, unless something changes drastically, by 2050 there will be a greater weight of plastic in the ocean than fish. 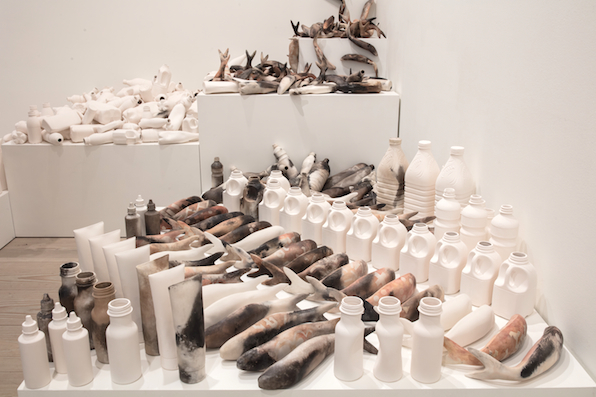 HARVEST was first shown at Collect Open, Saatchi Gallery 2018 and then toured widely (see CV & Exhibitions).